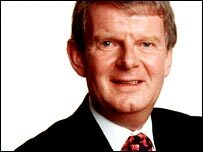 John Motson has been a member of the Match of the Day team for nearly 30 years and is regarded by many as the voice of football. The son of a Methodist minister, 'Motty' joined the Barnet Press newspaper as a junior reporter at the age of 18. He later moved to the Morning Telegraph in Sheffield where he first covered league football. A short freelance spell with BBC Radio Sheffield was followed by a switch to network radio in 1968, where on Radio 2 (then BBC Radio's main sports station) he made his name as a sports presenter as well as a commentator on football, tennis and boxing. At the age of 26, John became a junior member of the Match of the Day staff in 1971, following the departure of Kenneth Wolstenholme, and soon became one of its key commentators. Between 1979 and 1994, Motson was the BBC's TV commentator for 29 consecutive major cup finals - FA Cup, World Cup and European Championships. He completed his 30th assignment at this level with the final of Euro '96 and subsequently covered the World Cup final in 1998 and 2002 and the final of Euro 2000. Altogether, John has covered well over 1,000 matches for the BBC. He has also researched and narrated over 30 football videos and written four books, including Motty's Diary - A Year In The Life Of A Commentator, which was published in 1996. John and his wife Anne have one son, Frederick, 14 and away from football his interests are running, the cinema and reading thrillers. In 1998 John was honoured with his own 'audience with' show on BBC ONE, The Full Motty and appears in 'mini' form on BBC Sport's website.